Leesburg Town Manager Kaj Dentler is the July 14th speaker on the current club program theme of local, state, and national government. He is highly qualified to provide insight about the past, present, and future of Leesburg. 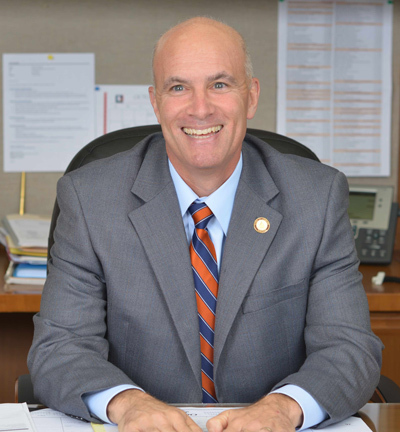 Since October 4, 2014, he has been serving as the Town's Chief Executive Officer, supervising all Town functions including public safety, utilities, public works, capital improvement projects, airport operations, planning & land development, parks & recreation, library, and all internal support functions.